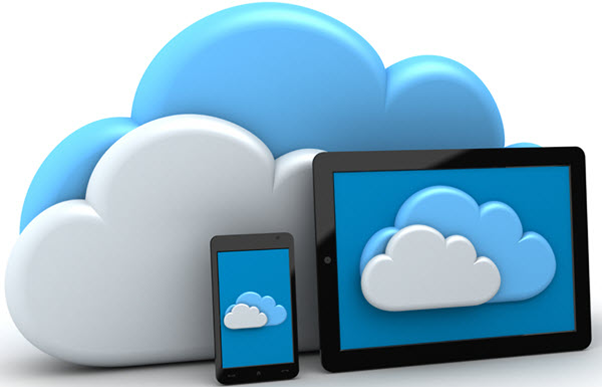 Cloud Storage – Great Idea or Security Risk? This guest post is contributed by my Aussie mate, Jim Hillier. Jim is the resident freeware aficionado at Dave’s Computer Tips. A computer veteran with 30+ years experience who first started writing about computers and tech back in the days when freeware was actually free. His first computer was a TRS-80 in the 1980s, he progressed through the Commodore series of computers before moving to PCs in the 1990s. Now retired (aka an old geezer), Jim retains his passion for all things tech and still enjoys building and repairing computers for a select clientele… as well as writing for DCT, of course. “On no, we’ve lost all of little Johnny’s birthday snaps”, the woman cries as she holds her smashed smartphone aloft. With a knowing smile, her husband responds, “Don’t fret dear, they’re all in the cloud”. All is well, peace and harmony reign again. Even less than a decade ago, any mention of “cloud storage” or “data in the cloud” would have almost certainly elicited a puzzled response. Today though, I’d imagine just about everyone would be familiar with the concept. “The cloud”, it’s a rather exotic term which simply means your data is uploaded to and stored on somebody else’s server, essentially on an internet connected hard disk owned and operated by the cloud service provider. There is no doubt that the advantage of being able to access data from anywhere on any device creates a massive appeal factor, especially for multiple device users. Not to mention the automatic backup element which is clearly demonstrated in the opening paragraph. It all sounds like a great idea, that is until you start considering what might and can go wrong. Of course, cloud storage providers take the utmost care with your data, at least according to them. They apply top notch security measures including encrypted data transfers. Trouble is, the encryption key is also stored on their machines, which means any of their staff can access those files as can any hacker who manages to break into the system. I realize every method is susceptible to hackers, whether the data is stored locally or in the cloud. However, which do you think would represent the most desirable target – a local disk containing only your own personal data or a mega database containing data uploaded from thousands (if not millions) of users, all in one place? Another concern involves the future viability of a chosen cloud storage provider – just ask those who entrusted their data to Kim Dotcom’s Megaupload. What happens to your data if the company is sold, goes bankrupt, or just closes down? Then there’s the scenario where cloud storage providers can simply change the terms of their plans, exactly as Microsoft did recently when the company drastically reduced the amount of data storage available under its free OneDrive plan. I guess though, when it comes to data in the cloud, the greatest concern for most people is privacy. While Microsoft OneDrive openly scans all your files – for illegal content of course, most providers will collect data to share with “trusted third parties”. Naturally, many of these providers need to process sensitive information, such as your name, email address, phone number, credit card details and mailing address, in order to “improve their services”. And Santa Claus visits once a year around Christmas. Despite the cynicism, I do believe that cloud storage can be decidedly useful and I’m certainly not dismissing the practice out of hand. However, as is the case with many situations… everything within reason. I would not, for example, store any sensitive data in the cloud, whether encrypted locally beforehand or not. Family photos, life-memories, items which are valuable only to the user and serve no purpose for anyone else… sure, no problem. Regardless, the important thing to remember is that any backup is preferable to no backup at all. If you don’t fancy storing your data in the cloud, dust off that external drive and use that instead. Works for me. This guest post is contributed by Grady Winston. Grady is an avid writer and Internet entrepreneur from Indianapolis. He has worked in the fields of technology, business, marketing, and advertising – implementing multiple creative projects and solutions for a range of clients. Is there a better way of getting your brand, product or service out to people? In our ever-expanding world of digital advancement, the ability to find and share content has grown by leaps and bounds. Businesses in the know understand social media isn’t just for teens and college kids anymore. While businesses are capitalizing on the impact a strong social networking presence can have, there’s still a hard line when it comes to actual interaction. Many businesses still work on the premise of “if we build it, they will come.” Though this approach may have worked in the past, people aren’t just interested in what you’ve built, but what’s inside. The point of social media isn’t just to keep talking about your company and its services; consumers want to know what makes you tick. If you’ve made a video that promotes your company, employees or services you provide, consider including a behind-the scenes look at making the video, including a gag reel or bloopers. Marketing data and spreadsheets mean little to the average consumer. Show your customers the heart, soul and human side of the company they choose to support. “Going viral” is a popular turn of a phrase related to the sharing of pictures and videos across social networks. Thanks in part to sharing, “Gangnam Style” made Korean rapper Psy a sensation in the United States. Memes are another one of those viral cases, in which something is elevated through the use of pictures or words. Former presidential nominee Mitt Romney had at least two of his awkwardly worded statements turned into viral memes as the 2012 presidential race heated up. Why did these videos go viral in the first place? The case could be made that Romney was famous, being a former governor and presidential candidate, but Psy was an unknown singer and rapper. While something to strive for, going viral isn’t just about putting up content for people to find. Anyone can upload a video; the difficulty is in knowing what that content should be and how to attract viewers who ultimately share it. It goes without saying that social media is one of the biggest pushers of content, from Facebook to Twitter to rising star LinkedIn and newcomers like Google+ and Pinterest. Understanding these platforms is first and foremost the most important thing when trying to get people to your business. Facebook is not Twitter and, despite their perceived boxing match, Google+ is not Facebook. Being on just one social media site isn’t enough; a business needs to be on all platforms that will work towards its business and customers. Another crucial step is learning about your customers. Many businesses try to market to everyone without regard to their actual consumer base. Why market material of scantily clad women on top of cars when a customer base is mostly women? Or senior citizens? To this end, not only is it important to know your consumer but, know what they will like and most likely share. As the saying goes, “content is king” and, not having interesting and engaging content is a deal breaker for many. Memes are popular because they make current events humorous. Animal videos, from cute kittens snuggled together to pandas getting wellness checkups, make people happy and more productive. Clearly not all marketing will benefit from the use of a meme or a video of a hedgehog toddling across a countertop, but interesting content spurs people to share with their friends, family and coworkers. Guest writer Bryan Keller, gives business owners the lowdown on social media and explains how taking advantage of social media and online business communities, can positively impact the bottom line. As recently as only 2-3 years ago, very few business owners took much of an interest in becoming part of the growing number of social media or online business communities that have exploded across the Internet in recent years. Today however, most if not all business leaders, from the very smallest sole proprietorship to the very largest corporation, are aware of the fact that the Internet is quickly becoming the average consumer’s first resource in locating and choosing the party they ultimately choose to do business with. Electing not to participate in this expanding progressive electronic evolution, would and surely will, have a very severe negative impact on those businesses that are not fully invested in the experience. The number of professional user groups on websites like Facebook and LinkedIn has grown more than 10 fold or over 1000% over the past two years. Dismissing this trend as pure fancy would be an unwise maneuver for any savvy business owner or marketing executive. These professional networks can provide many benefits to every type of business. And, the benefits are not only applicable to the business owners; belonging to a social network also provides numerous benefits to all of the other members (and prospective customers) of the social network as well. 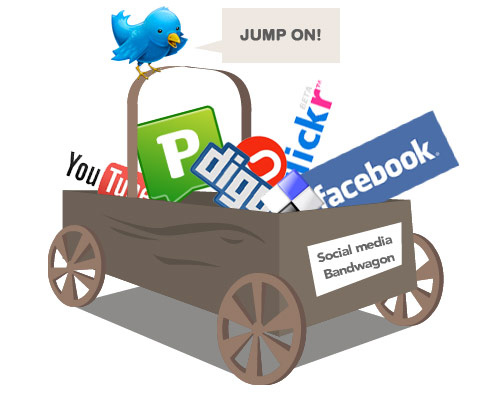 Building or Increasing Company or Product Awareness – Social Media Sites provide a tremendous asset that allows custom tailored delivery of timely assessments of the types of services or products that a business provides, supplies, or offers. Additionally, press releases describing exciting new changes taking place within a business serve the business and the consumer alike. A business forum can also be a fantastic way to provide consumers with near real-time helpful information on the steps needed to be taken in the advent that someone may be experiencing some sort of a problem with a particular good or service. Observe and Track – Because Social Media Networks are designed to allow two-way communication between its participants, as a business owner you will have the luxury of seeing what other members of the online community may be saying about your brand, product, service and competition in virtually ‘real-time’. Engage (Current Customers) and Entice (New Customers) – Do not neglect the opportunity to involve existing customers and network subscribers in all manner of interesting and topical debates, quizzes and feedback forums and blogs. When doing so the benefit is manifold as this process has the added effect of enticing new customers and subscribers simultaneously as they get drawn into the discussions. Assist and Support – Here is the perfect opportunity for a business to demonstrate to its valuable customers in a substantial way, the benefits and advantages of using their goods and services. A great way to accomplish this is by providing valuable support in near real-time for any difficulty, problem, confusion, or question an existing customers or prospective customer may be experiencing with regard to the company’s products or services. Attract and Qualify – By including the appropriate keywords and tags in the social media site profile, blog posts, articles and forum discussions, the result will be many, many, new potential customers who will be directed to your content automatically by the search engines as they search the Internet for relevant information that happens to match your niche (and these prospective clients are pre-qualified as strong potential leads – they found you because you offer something they were searching for and are obviously interested in). Increase Your Bottom Line – Marketing 101. Give a deadline which is clearly defined and visible in many advantageous locations throughout your business website. One effective way to achieve this is to create a deadline by which time certain featured products or services must be purchased or agreed upon due to the fact that the price for that good or service is scheduled to and will increase beyond a specified date and time. It is imperative that you follow through on the price increase as well. An angry customer is one who is told that a price will go up on a product, after which they rush out and purchase said product or service, and then low and behold the deadline passes and the product never changes price. No one likes being lied to. Stay true to your word. Honesty and Integrity go hand and hand with trust and loyalty. You can always discount products again at a later date. Always precede any price increase with many highly visible notices allowing your customer to take advantage of the current rate before the increase is scheduled to go into effect. For a Trial Period to be effective it should be offered as what is called a ‘No Risk’ trial. In other words let your customer know that if for some reason they decide they are not satisfied with your product or service within the trial period they can cancel the agreement without being charged for anything (no questions asked). Freebies are also a great way to entice people into trying a product or service. They are best used as an added feature to a package of goods or services that your potential customer may be contemplating buying. Remember these are merely examples; the only limit is your imagination! I own a Computer Repair and Data Recovery business in San Antonio, TX, San Antonio Computer Repair. I spent 10 years in database development. I am now also providing Website Development, Hosting, and SEO services. We use the Joomla CMS. Altogether I have been involved in computer programming for over 30 years. Scan Your Computer With Panda Security’s ActiveScan 2.0 – You Could Win an iPod! A study carried out by PandaLabs of more than 1.5 million users revealed that 72% of companies with an up-to-date security solution installed had malware on their networks. In end-user environments, the study confirmed that 23% of home computers were infected. Current data indicates that the situation has not improved. The underlying reason is that traditional security solutions are no longer enough to protect users’ computers from the increasing number of malware samples that appear every day. This means that many users are infected without realizing. In order to make people aware of this problem, Panda Security has launched the Infected or Not campaign (http://www.infectedornot.com). Through this initiative, both users and companies will have the possibility to run free security assessment on their PCs and networks, using the largest analyzed programs database in the world with more than 11 million malware samples and, as a result, improve the security of their computers. The first ten companies that demonstrate that they are not infected will win €5.000. The reason why Panda can detect malware that has evaded other solutions is “Collective Intelligence”. Through the Infected or Not campaign, Panda Security aims to prove that this innovative technology is providing much better protection than the competition and that it therefore represents a significant advantage over other security solutions. “Collective Intelligence” is an innovative security model based on the collection of information concerning malware from the Internet community and the automated processing of this data in new data centers. As the knowledge is accumulated on Panda servers and not on customers’ computers, “Collective Intelligence” maximizes the detection capacity of Panda Security solutions while reducing clients’ bandwidth usage and resource consumption. This not only provides far greater security but also simplifies the protection process. Currently, Panda Security’s Collective Intelligence network comprises 4 million computers. The knowledge accumulated in the system is composed of more than 11 million malware samples, and over 100 million analyzed programs. In 2007, more than 94% of all new threats that reached PandaLabs were detected through Collective Intelligence. At present, the system has a malware knowledge base of more than 100 million bytes. “This model ensures that Panda solutions detect more than other security products, and if we fail to find a threat on a user’s computer they could win an iPod Nano, or €5,000 in the case of companies” says Matthieu Brignone. Panda Security S.L. located in C/ Buenos Aires 12, 48001 Bilbao, Spain and its local representatives, has organized a prize drawing for 1 iPod Nano 4 GB a day to promote the new technology called “Collective Intelligence” and the products included in the campaign “Infected or Not?”. The prize drawing will start on April 7, 2008, and will end on June 30, 2008. The prize drawing is open to all persons who, at the time of the drawing, are active clients of Panda Security or have scanned their computers with AS 2.0 and no infection was detected. Each participant will be able to scan his computer as many times as he wants, counting each one of them like a participation in the drawing.